Thankful for what the Lord has done! 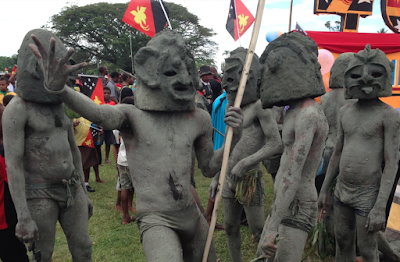 We have been in PNG for three years now. In some ways, it seems a lot longer than that, and in other ways, it's hard to believe that much time has passed. When we consider what the Lord has done, we are truly amazed. It is still just the two of us here working on this project. We really thought that there would be others joining us before now to help expand the project, as well as keep it going after we leave. That has not happened yet. We are still waiting to see whom God will send. We feel there has been a lot of progress here, considering that when we came three years ago, we started from scratch. There was no airbase here, no airplane and we didn't know how we were going to get our plane here, from the USA. But God's command to GO was very clear and so we left our country and families to start the project here in PNG, following God's leading. We don't have a large organization supporting us here, only people who are used by God to pray for us, and some to send financial support, as God impresses them. We are very grateful to see how God uses different people each month to supply the needs of the project. Some from the USA, some from Australia, some from South America, and also from here in PNG! God has many ways to supply our needs. God has not failed in His promise to supply all of our needs according to His riches in Heaven. We want to express our sincere thanks to all of you who have helped in some way, great or small to get and keep this project going. As most of you know, we were given an old airstrip to use. It had not been used or maintained for nearly 30 years. We were also given, a shell of a house to fix up and call home. Our friends in Vanimo came many Sundays to work on fixing up our house—putting in long hours, supplies, and expertise. We built a hanger for the plane with help from friends in the US, and our plane was shipped and flown here by other friends from home, also. The roadblocks and obstacles have been many and continue, but we see God's hand still at work on our behalf and in the work here. This year, we have made over 150 flights bringing in patients in need of urgent hospital care, taking medicines and vaccines out to very remote villages and doing missionary flights, as well. We have driven thousands of miles transporting patients to the hospital, who most likely would have died without it; and also transporting lay workers to remote villages sharing the gospel of Jesus. We have conducted two lay evangelism schools, some cooking and nutrition classes, and have spent a lot of time counseling our workers. We have driven nurses to clinics and done various medical activities--including health training at the clinics and in the schools. When we arrived, we were told that no baptisms had been conducted in this area in the last 7 or 8 years. A new pastor arrived soon after we did, and when we got moved out here to our base, we went to work with the pastor and local members to grow the church. The last two years, we have had over 50 baptized each year in this district! We rejoice in seeing people accepting the good news of salvation. There are many areas yet to be reached, but we lack lay workers willing to go out. Living out here in the jungle, 1.5 hrs from town, with very poor soil, and swamp all around us, food supply was a concern when we arrived; but God has supplied all our needs and more, so that we can give food away sometimes! We are blessed in so many ways as we see the hand of God removing roadblocks and providing for us. It has not been an easy three years in many ways, but it has been rewarding seeing God at work, using us to help improve health needs and spread the gospel message. It has helped to build our faith, too! Thank you for your prayers and support! They mean so much to us!